Every business, even the smallest one, heavily relies on seamless phone systems. For small businesses, there are various types of phone system that they can employ to facilitate their communication needs. 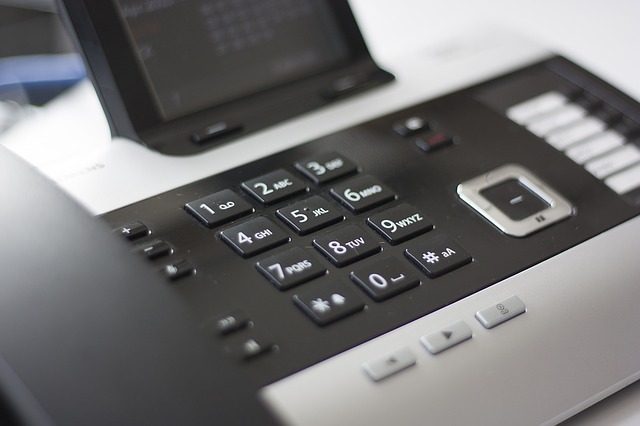 While the traditional landline system is still used, more contemporary systems, including VoIP and virtual phone systems, have become prevalent in business telecommunication realm. While large corporations can mostly handle their phone systems using their own in-house resources, smaller businesses mostly have to work with small business phone service providers to deal with this necessity. For individuals and small businesses, working with a phone service provider that offers reliable yet still affordable service is often the best solution to manage their phone needs. Due to high market demand of affordable phone services, there are currently hundreds of service providers that individuals and small businesses can rely on. Each tries to be unique and attractive by offering not only basic features like free unlimited text and talk, but also more advanced features that range from data rollover to subsidy for purchasing new hardware. If you are looking for the best phone service provider, understanding different types of phone system that are available today as well as the detailed features that each provider offers will help you find the most reliable one. Various types of phone system, including landlines, virtual phone system and VoIP system with all of its variants, are currently available. You need to know how each system works and what are its pros and cons. Landlines or PSTNs (Public Switched Telephone Networks) are traditional analog phone systems that heavily rely on copper wiring as a means of signal transmission. Landlines’ reliability has been tested by time. This is why many companies are still using them. However, as their installation, maintenance and utilization costs are relatively expensive and as they are not considered suitable anymore for the current business activities that are highly mobile, they might not be the best choice for new businesses. Virtual phone system is a system that directs calls and texts to cellphones owned by each individual employee of a business. 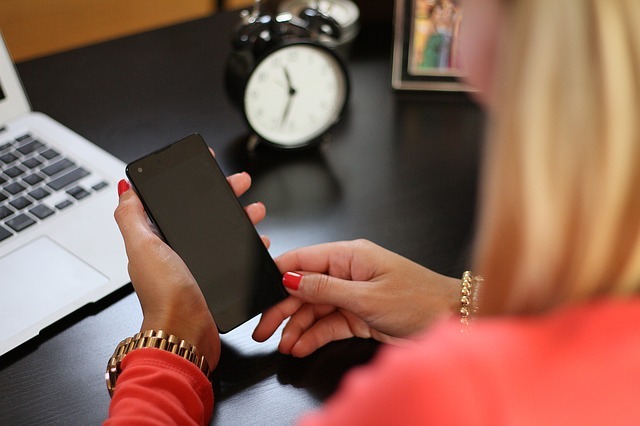 Virtual phone system is a good choice for highly mobile businesses. Businesses with employees who don’t work at one specific office can immediately have calls from customers and clients directed to remote employees who work at different places. As most online businesses don’t really consider a physical office building important, virtual phone system that doesn’t heavily rely on physical infrastructure can offer reliable communication service to such businesses. The downside of using this phone system is that its costs can hardly be controlled and tend to be expensive as all calls are still processed on individual phones. VoIP system is a system that uses internet as its transmission medium. As worldwide communication is now dominated by internet-based telecommunication system, it is almost unimaginable for a business to run efficiently and productively without using this system. VoIP system offers many great features that make communication easy, convenient, and cheap to do. At the present, VoIP system is considered the most cost-effective and versatile phone system available as long as there is reliable internet connection to accommodate it. While the development of traditional phone system seems to have ceased nowadays, the development of VoIP system is quite vigorous. If you decide to opt for this system, you need to decide whether to host your VoIP infrastructure using your own resources or to rely on cloud-based system. Each has its pros and cons. Self-hosted VoIP system allows you to manage your VoIP equipment and infrastructure using your own resources. If you pick this choice, you will need to establish and maintain your own PBX (Private Branch eXchange) hardware, which can be costly; however, as the entire infrastructure is within your own premise, you enjoy full control of its operation and cost. Cloud-based VoIP is a VoIP system with infrastructure that is hosted in the cloud. This system doesn’t require you to buy PBX hardware and to maintain it, making it a cost-effective phone solution for small businesses. Because cloud-based VoIP offers more cost-effective solution, it is definitely the best choice for small businesses with limited operational budget. Because its infrastructure is hosted by the phone service provider, small businesses that decide to rely on this system definitely need to choose the best small business phone service providers that offer high-quality service so that their cloud-based phone system can be relied upon all the time. There are some important factors to consider when you want to choose a reliable VoIP phone service provider. Larger number of server locations means higher connection speed and clearer calls. Currently, RingCentral has the most server locations in the US, so if you consider this factor important, you can try to look into its service features. Local calls are mostly free (although there are some providers that charge for them), but international calls are either charged or free with limited minutes. If your business serves international clients who regularly make and receive calls, you need to decide whether to pay for the calls or to use free with limit feature offered by your plan. If your business rarely makes international calls, RingCentral, Jive and Nextiva are among your available choices. If your business occasionally makes international calls, free with limit feature provided by 8×8, Phone.com, and Vonage can be a better choice. Business VoIP system may offer basic features including conference call, follow-me, ACD queues, virtual phone number, toll-free number, virtual queuing system, mobile app, and hunt groups. Some providers offer those features for free whereas the others charge for some of them. There are also providers that don’t provide any of those features. Assess your current situation, decide which of those features are considered necessary, and find a provider that can provide the necessary features to you. By paying attention to those factors, you should be able to choose one of the best small business phone service providers that offer high-quality phone service to you. Here are the list of top best small business phone companies in USA directory. – 1-VoIp is one of the best VoIP service providers in USA. Plans include extension monitoring, call parking, custom on-hold music, intercom service, auto attendants, voicemail, call recording, call waiting, call-forwarding, digital call-forwarding, cellphone redirecting, digital queues, and other features. The cheap voip service for business with the ability to create we are closed custom announcements when night for office or store. This best voip company for business also offers SIP trunking services. – If you want compare hosted voip providers maybe 8×8 can be your hosted voice over ip solutions. Hosted voip business phone service 8×8 inc. provides call forwarding, conference bridges, voicemail notification, personalized voicemail, auto attendants, call history, transfers, ring groups, corporate directories, call waiting, caller ID, on-hold music, three-way calling, and calling from a PC. Beside serve voip applications for pc, in the future there will be more additional services like voip clients for iphone, voip apple push notification, voip application for android tablet, etc. Don’t worry, 8×8 still provides best call center customer service. – Phone.com one of the popular and best online phone system with many great features such as best voicemail transcription app for iphone, listen to voicemails, get text notifications, mobile iOS and android business phone app, online account management, caller analytics, custom voicemail greetings for different callers, audio conference call services providers, advanced call routing, unlimited phone extensions, and online account management. – Toshiba phone system intercom can transfer to voicemail access offers many voice response options, text to speech, customized call-hold messages, extension numbers and others. – Fathom Voice provides a centralized enterprise-grade Internet connection cloud PBX phone system platform for large, small and medium businesses featured auto-attendants, Salesforce click-to-call, call analytics, call monitoring, voicemail-to-email, call recording, on-hold music, and online faxing. – OnSIP provide hosted small business phone system with auto attendant and voicemail. They offers The Per Seat Metered Plan and Pay as You Go Plan to make flexible choices and customer can use services what they want. – Virtual pbx system providers offering integrated email/fax/phone, disaster recovery, and voip hosted pbx services. – Xblue serve install ready voip digital phone service with already set up intercom, conferencing, voicemail, and call transfer. Xblue support internet-based telephone service (voip) also standard telephone lines and conventional modems. This can be your best no contract voip upland provider because no termination fee. – This Allworx is favorite small business voip phone service reviews from many client provides a complete all in one voip systems for large business, wireless ip phones for business, network hubs switches and routers, etc. This company not just sell business phone answering system, but all in one integrated phone answering service for small business and medium sized company. Allworx also offers voip internet phone service premium called Windstream IP Simple, it’s kind of monthly subscription voip data combination services from Windstream. – Handility best cloud based phone systems for small business offers pay as you go plans and unlimited usage plans that can be configured from web interface based phone message system. – Broadview Networks, hosted phone system providers with advanced features like best call recording software for pc, good outbound inbound call center services pricing, multi-site data center solutions, private internet access network connection, toll free number service provider, HD Video and Audio web conferencing systems for small business, online fax service pay as you go, and unlimited international calling plans. – Fairpoint hosted pbx providers featerud mobile phone systems for business with voip features advantages. – Do you need contact center solutions comparison ? Maybe Avaya’s cloud call center solutions can be your choices. Bring unified communications and collaboration services technology with wide variety of flexible cloud-deployment and on-premise options. These also integrate with non-Avaya call center software open source applications. Avaya communicator for windows give employees access to video conferencing tool, automated voicemail greeting generator, and best instant messaging application for pc. With 3000 users, Avaya give employees to access video communication apps for android, iphone, and other mobile devices. – Nextiva top voip calling services provide all inclusive unified communication for all sizes business. The call center plan also include one-click transfers, free auto attendant recording, and call queue visibility. – Phonebooth part of Bandwidth.com Inc. provide voice services for small business with flexible plan pay per users and you can add many users as you want. – VoIPX it’s voip providers new york city that give free phone for customer when signing a contract. This ip pbx systems small business solution also have 24/7 US Customer Support Team. – Comcast customer service business provide features for web based management voice mobility make automatic answer calls from mac, iphone on pc, ipad, android and all mobile devices also phones transfer calls between cordless phones, handsets, mobile devices, and offices landlines. – Digium Switchvox provide cloud based internet phone systems and on-premise ip pbx phone systems for small business. – eVoice is not just bring small business phone system installation but also convert voicemail to email app and best voicemail transcription service. – Velis4 hosted voip providers, call center phone system, and SIP Trunking. Integrated with Microsoft Outlook, Simultaneous ringing, unified messaging and music on hold. – FreedomVoice cloud-based unified communications service provider offers cloud based phone numbers, cloud based phone system, and cloud pbx with pstn calling. – Fonality voip service providers for small business offers digital hybrid ip-pbx system and hosted pbx service providers provide cordless office phones features presence and video collaboration, screen sharing, secure internal network instant messaging system, and many more. – Moneypenny is a personal communications answering service will passed on to a cheap virtual receptionist services if there is someone calls and you are unavailable. This personal touch telephone answering service can transfer call to other number or sends you email or text massage to alerting you that you have waiting calls. The personal call answering service also featured online portal and bypass list, local numbers, and toll free numbers. – Birch’s Total Cloud PBX is an cloud hosted pbx systems for large business enterprises. With this system, supports your entire workforce. – Zultys integrated mobile data, voice, and video ip business phone system for enterprise class business also small branch office. – Telzio internet based phone systems for small business provide unique feature such as interactive voice response, custom call flows, opening-hours filters, also basic feature like conferencing, fax, SMS, Mobil and of course voice solutions. – Jive provide low cost cheap voip pbx phone system easy to install and configure with more than 100 features like virtual faxing, voicemail-to-email, individual call logs, message-waiting indicators, speed dialing, conference bridges, unlimited extensions, caller ID, call waiting, call forwarding, dial by extension and dial by name options, on-hold music, custom greetings, corporate directories, conferencing, call monitoring, and auto attendants. – Barracuda is recommended best hosted small business voip phone service without charge for licensing per-feature and per-user basis. Features include voicemail to email, call recording, an automated attendant, call routing, and electronic faxing. – MegaPath provide multisite and singlesite business voice solutions including hosted voice over ip for home and small business like analog phone lines, PRI trunking services, and SIP trunking service providers USA. – ESI provides automated help desk telephone systems and secure chat software for business. – AT&T small business phone and internet is a voip solutions for medium business, voip systems for small business, and voip for large business with satellite locations that provide advanced high end data and voice over ip technology, This voip solutions for small business enables data and voice services to work in one single network device connection. The cloud based voip phone system called AT&T Unified Communications Voice offers easy to use high quality voice over ip features and contact center solutions company. – Telecharger 3cx phone system for windows free is a best software based voip IP PBX. It’s not free ip pbx software for windows. 3CX is cloud based ip pbx voip phone system for small business. – RingCentral voip telecom companies. – Cisco small business phone system cost including business edition 6000 is worth it for newbie. Cisco business edition 6000 medium density server for maximum users 1000 employees. Not cheapest business phone service but worthed business phone and internet service providers in my area. – Mitel digital voip phone systems covers flexible communication platforms range of contact center solutions, cloud ready software stream, and other mitel unified communications platform. – Grasshopper virtual phone system with fax to email, call screening and forwarding, conference calling, and auto recptionist. – Dialpad cloud phone system virtual pbx features include Integrated Google App for Work and Microsoft Office document sharing, screen sharing, voice video conferencing, mms, sms, group messaging, visual voicemail, call recording and forwarding, and best virtual receptionist services. – Phone Power cloud based voip phone system. – All Call Technologies, Do you need virtual receptionist phone system for small businesses ? Why don’t try one of the best virtual phone system for small business 2016 based on virtual pbx phone system reviews comparison. You don’t need install any small business phone system equipment and can still use current phone carrier. All Call Technologies is not sell virtual receptionist kiosk software, they want to give best virtual receptionist services reviews for many customers. Professional Backup Attendant services will give solution for not answered or busy office line. Professionally pre recorded greetings for answering machines (male/female voice) can be programmed as your specifications. – Frontier cloud based voip phone service with unlimited long distance and local calling. – Evolve ip hosted pbx service providers with unified communication features like hosted voip call center solution, unified messaging, overhead paging, call forwarding, three-way calling, and group directories. – Facetcorp features linux phone system software phone answering system for mac. – Corvisa is one of top cloud based unified communications companies & computing corporation providers in america combining business connectivity services add-in and cloud contact center market share with offer web-based administration tools system. User can access call logs backup & restore, visual voicemail app, and help desk call handling. – verizon voip phone service business is popular in US. Provide integrated layering network to support voice and data traffic unified communications and collaboration solutions with portfolio such as business connectivity services, Virtual Communications Express, IP Integrated Access, and IP Trunking. – MightyCall virtual receptionist phone system for small businesses provide mobile based virtual phone system application consolidates client contact channels also captures social media interaction, email, and customer call to make sure all issue is handled. Other features are call recording, customized voicemails, smart call forwarding, dialing widget, and web based SMS Contact. – Axvoice serve One of the best cloud based call center solutions for you. Professional Home-Office and Single-Office Small business outbound and inbound calling features with caller ID, caller ID blocking, anonymous call rejection, simultaneous ringing, do-not-disturb options, call filtering, and music on hold. Also web based voicemail system that can allow employees make more flexible working. – FortiVoice has best analog phone system for small business also voip systems for medium business. 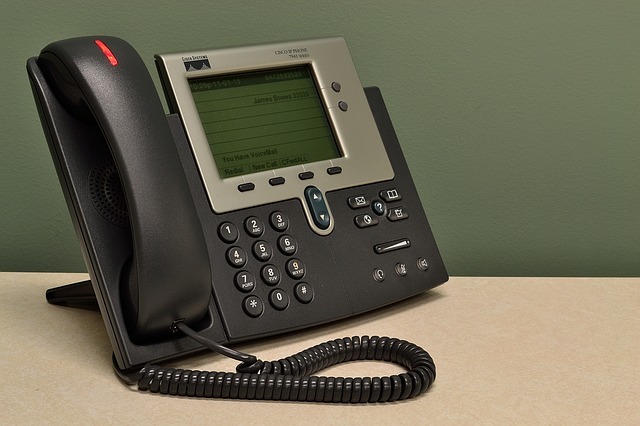 They offer variety analog phone systems for small office features like caller ID routing, call screening, call forwarding, call waiting, call bridges, conference calls, remote management, call logging, dial-by-name directories and others. – ShoreTel ip cloud network solutions. Some of these companies serve clients in the US and also in major international cities. Because many businesses located in cities with a large population and customers. Below is a list of cities with the world’s largest customer prospects. There are so many small business automated phone answering service, all you have to do is choose what you need and meet your company budget. Good internal or external communication make your business growth well. Do not let your customers and employees become lazy with your business just because communications are difficult to contact and unfriendly staff.